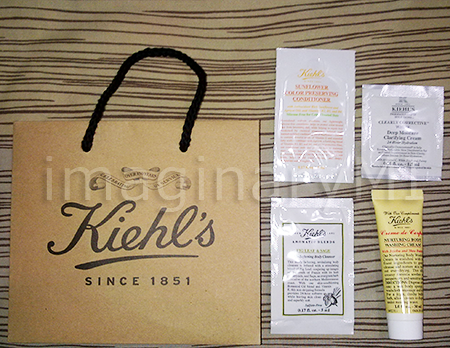 So in my my previous post about Kiehl's event I mentioned that I got a goodie bag. Today I wanna share you what's inside it. I've tried the conditioner & moisturizer. I like the conditioner texture which is cream and it's easy to rinse off. About the moisturizer, it really keeps my skin hydrate but I don't know I just don't like the smell. I will let you know if I've tried the others. I'll mak a post about it. Ok that's it for today post, happy weeked guys! Anyway this Sunday I'll watch G Dragon's One of A Kind concert in Jakarta.